This park was established in 1963 and consists of 29 hectares in the lower mainland area of the province. 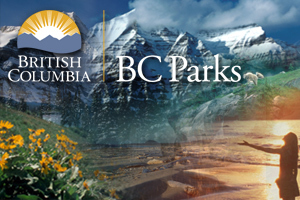 Cheam First Nation and BC Parks are pleased to be working together in the collaborative management of Ferry Island park. As a class C park, the jurisdiction of the park falls under a park board, which is the Cheam First Nation Chief and Council. As the Park Board, the Nation will direct and oversee the management of the park and has plans for future recreational enhancements. Ferry Island is an area of special significance to the Cheam First Nation. The park is comprised of 29 hectares on the south side of the Fraser River east of Chilliwack, directly adjacent to the Cheam reserve. The Cheam First Nation has a long-standing interest in protecting, maintaining and enhancing access to the Fraser River for the public and for First Nations community members. For more information regarding Ferry Island Park, please contact the Ferry Island Park Board at www.Cheam.ca. This park is currently designated as a Class “C” park, which means the local community designates a board to manage this area.